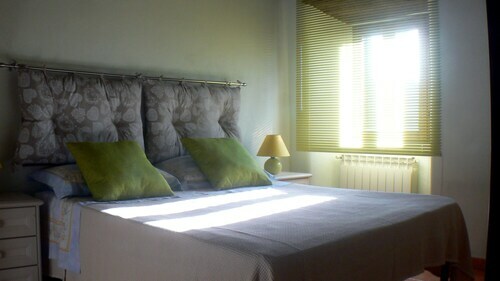 Situated in Arcidosso, this bed & breakfast is steps from Mount Amiata Fauna Park and Castle Arcidosso. Parco Piscine Capenti Outdoor Pool is 1.3 mi (2.1 km) away. Situated in a rural location, this historic vacation home is within a 10-minute walk of Mount Amiata Fauna Park and Castle Arcidosso. Parco Piscine Capenti Outdoor Pool is 1 mi (1.5 km) away. Situated in the mountains, this historic property is within a 5-minute walk of Mount Amiata Fauna Park and Castle Arcidosso. Parco Piscine Capenti Outdoor Pool is 1 mi (1.6 km) away. 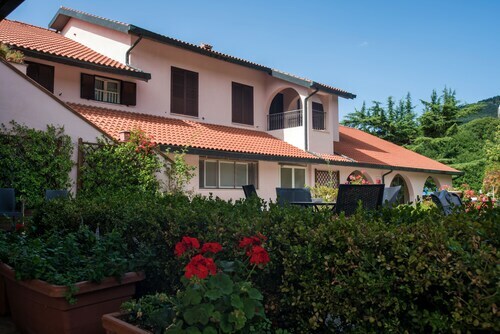 This family-friendly Arcidosso resort is located in a rural location, within a 5-minute walk of Mount Amiata Fauna Park and Castle Arcidosso. Parco Piscine Capenti Outdoor Pool is 0.9 mi (1.5 km) away. Situated in Arcidosso, this farm stay is within a 15-minute walk of Mount Amiata Fauna Park and Castle Arcidosso. Parco Piscine Capenti Outdoor Pool is 2 mi (3.2 km) away. Situated in Arcidosso, this vacation home is within a 15-minute walk of Mount Amiata Fauna Park and Castle Arcidosso. Parco Piscine Capenti Outdoor Pool is 1.7 mi (2.7 km) away. Situated in Castel del Piano, this hotel is within 3 mi (5 km) of Mount Amiata Fauna Park, Castle Arcidosso, and Parco Piscine Capenti Outdoor Pool. Garden of Daniel Spoerri and Mercury Mining Museum of Monte Amiata are also within 6 mi (10 km). Situated in Arcidosso, this farm stay is within 1 mi (2 km) of Mount Amiata Fauna Park and Castle Arcidosso. Parco Piscine Capenti Outdoor Pool is 2 mi (3.3 km) away. LE Macine 6 Sleeps, Villa With Private Pool at Exclusive Use! 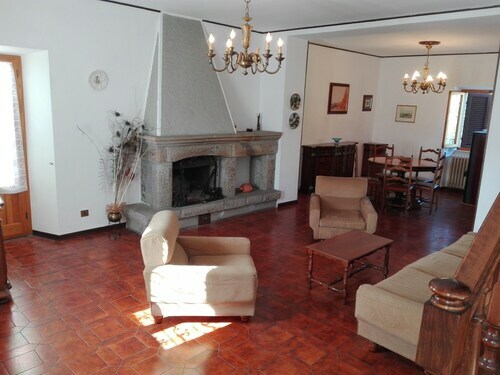 Situated in the mountains, this historic property is within 3 mi (5 km) of Mount Amiata Fauna Park, Castle Arcidosso, and Parco Piscine Capenti Outdoor Pool. Garden of Daniel Spoerri and Mercury Mining Museum of Monte Amiata are also within 6 mi (10 km). At Mount Amiata Fauna Park, you'll feel a weight lift as you let go of all of the worries and stress of modern life. Take a nice stroll, breathe in the fresh air and watch the birds flying overhead. Your body and mind will no doubt be grateful. It's located in Arcidosso, a destination that might not be on everyone's radar. It can be found 80 miles (129 kilometers) outside of Rome, the nation's capital. If you're beginning to consider hotels, we have 3 option. 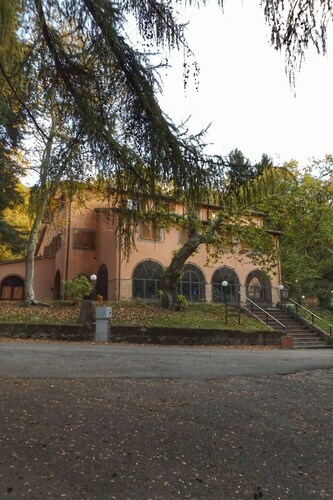 You can plan on spending a few nights at the Residence Terre Gialle and Park Hotel Spa & Resort, both of which are within 2 miles (3 kilometers) of Mount Amiata Fauna Park. If you're the kind of traveler that feels totally fine without fancy decor, you can stay at one of the bargain hotels in the surrounding area. You can make inquiries at the Borgo Tepolini and the Albergo Le Macinaie. There's only a small number of hotels within easy driving distance, so make sure you reserve a room in advance. If you were searching for someplace upmarket, try the Grand Hotel Impero Spa & Resort, only 1 mile (2 kilometers) away. Do you ever imagine what life was like hundreds of years ago? Go to Castle Arcidosso, a local historic castle, and participate in a guided tour. Unpack your swimsuits, find your towels and prepare for a few hours of family fun at Parco Piscine Capenti. If you love learning, House Museum of Monticello Amiata could be worth checking out. Gain a better understanding of aspects of the culture and spirit of the area by going to see Church of Our Lady of the Snows, a local sanctuary. If you're always seeking knowledge, Mercury Mining Museum of Monte Amiata may be worth paying a visit to. How Much is a Hotel Room in Mount Amiata Fauna Park? Hotels in Mount Amiata Fauna Park start at $51 per night. Prices and availability subject to change. Additional terms may apply. 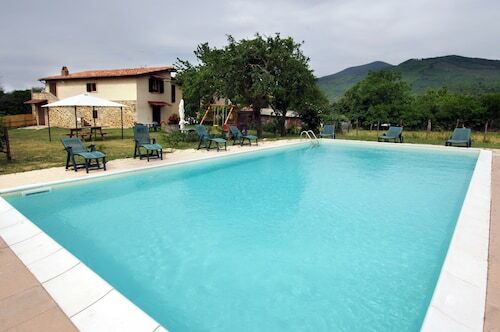 Montebendico 4 Sleeps, Villa With Private Pool at Exclusive Use! 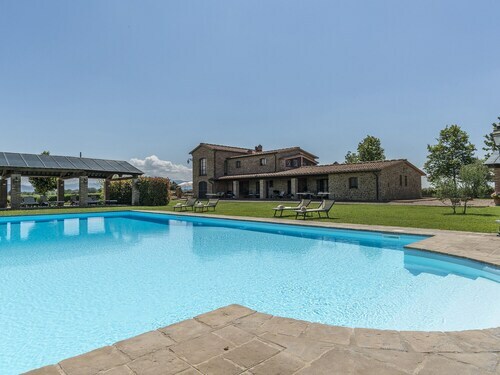 Casale LE Conce 6+2 Sleeps, Villa With Private Pool at Exclusive Use! 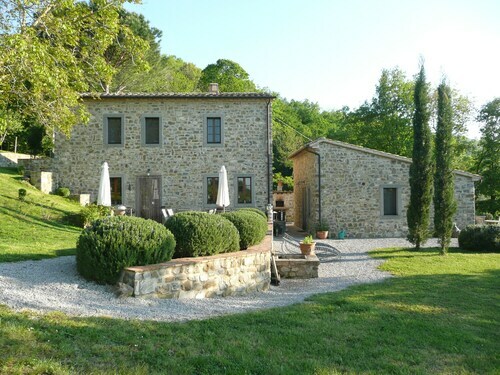 Casa di Silvia ... a Stone's Throw From the Val Dorcia ! !